Jared Leto’s Hair Looks Good Even Under a Santa HatWhy is it so shiny? 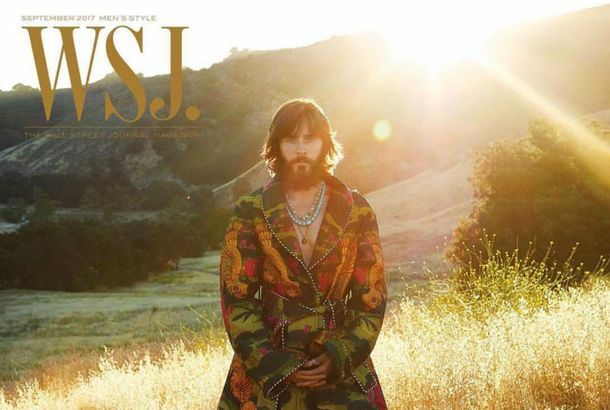 Jared Leto Is One With NatureWhile wearing a large Gucci coat. 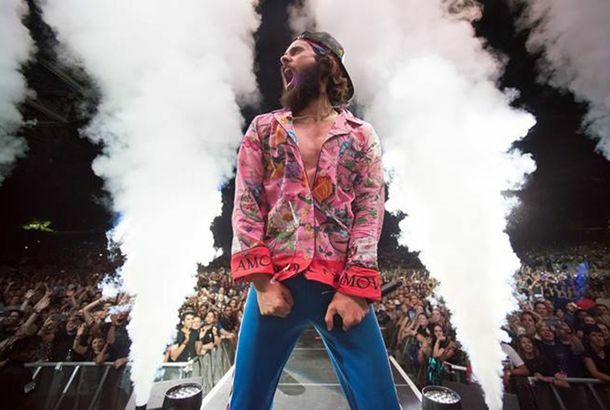 Jared Leto Is Ready for BedHe rocked his pajamas during a recent performance. Someone Please Adopt a Rhino for Jared LetoIt’s all he wants for his birthday. Jared Leto and His Green Coat Is the Romance of the CenturyHonestly, this is just a great tweet. Jared Leto Is the New and Improved Nerd-Face EmojiSpot. On. New Suicide Squad Trailer: Here Comes BatmanJoker’s wild. We’re Living in the Golden Era of Male HairBeyond the man-bun. Jared Leto Wore a Tie-Dyed Onesie in the Desert, and It Doesn’t Even Matter Why Rainbow perfection. Soon You’ll Be Able to Smell Like Jared LetoHis face has a new job. Jared Leto Sues TMZ Over Leaked Taylor Swift Critique VideoHe claims TMZ stole the video and has invaded his privacy. Jared Leto Gave Neighbors Pie As a Peace OfferingHe’s embraced the true spirit of Thanksgiving.